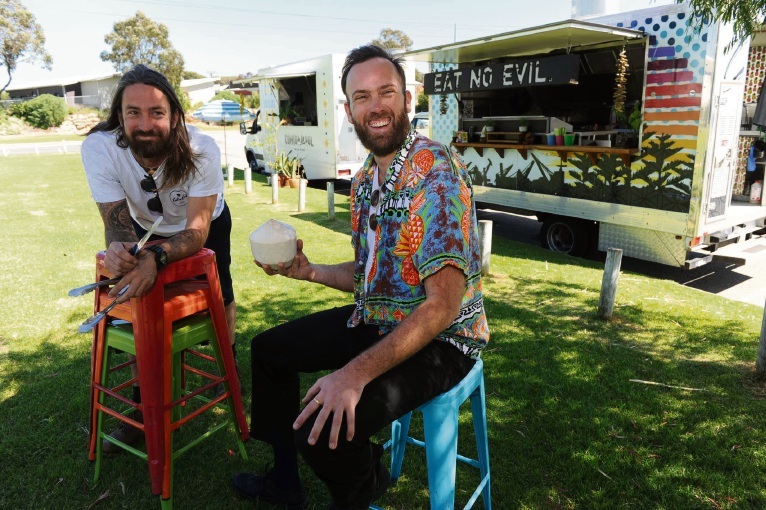 THE food truck partly owned by much-loved Fremantle resident Ben French will be back on the streets tonight. Mr French passed away last week after a scooter crash in Thailand and was well known in the community for his Eat No Evil food truck. Posting on the food truck’s Facebook page last night, the company said it had been a “momentous few weeks”. 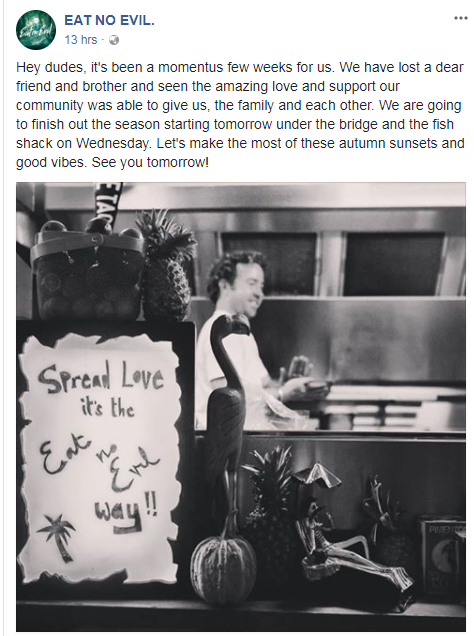 “We are going to finish out the season starting tomorrow under the bridge and the fish shack on Wednesday,” it said. “We have lost a dear friend and brother and seen the amazing love and support our community was able to give us, the family and each other. The family said in a statement last week that without the “generous financial support” they would not have been able to bring Ben home. “We cannot find the words to thank people enough for the support they have given Ben and our families during this difficult time,” the statement said. “We also thank the people who have supported us emotionally through this time, through kind words and by expressing their love for Ben. “Particularly, we want to acknowledge the people of Fremantle – Ben loved his local Freo community and had become a very popular Freo identity because he loved the community so much.